Does anyone else feel like life speeds up as you get older? Like the years were decades as a child, and now the years are hardly more than mere days? My resolutions from last week—sorry, last year—were simply two: seize the day, even stronger and encourage more independent reading. How did I do? Not bad, overall. Although I’m not always as mindful as I’d like, I do try to be disciplined and give my best effort to each day. And my aim to get my kids reading more in the minority language was reasonably successful, and ended on the high note I described in my last post, Big Breakthrough with My Bilingual Daughter?. Well, for 2015, I have six resolutions, some connected to my bilingual journey and some linked to other important aspects of my life. First I’ll share these resolutions—my aims for the upcoming year—and then I’ll describe six ways I think I can help strengthen your efforts as you pursue your own resolutions, your own aims, for 2015. I know this is the same resolution as last year, but since it’s at the heart of a successful bilingual journey, and a fulfilling life, it will inevitably be my main resolution, year after year. With keen mindfulness, and a proactive spirit, we’re not only better able to nurture our children’s language development, we can advance the other dreams we hold and appreciate our lives more fully. In the end, I think everything revolves around our capacity to make the most of each day we’re given, persistently but playfully. Again, this will likely be an annual resolution because literacy is the key to reaching increasingly higher levels of language proficiency. At this point, my kids (now 10 and 7) have sound ability in English, our minority language, including solid literacy for their age, but advancing this literacy level is a never-ending challenge because our time for reading and writing in English is limited. 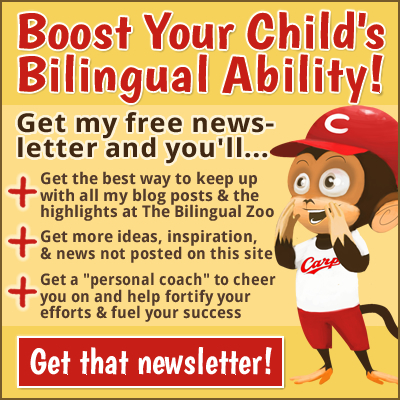 I’ve mentioned before that I’m bringing together my thoughts on raising bilingual children by writing a book called Maximize Your Child’s Bilingual Ability. My goal for this book is to provide ideas that will not only help parents achieve success, but maximize that success. After all, language ability is a continuum and progress has no real end. The question is: How far can you and your child go? I’m confident that this book will help propel parents and children farther on their journey. Sorry, this list is now closed. 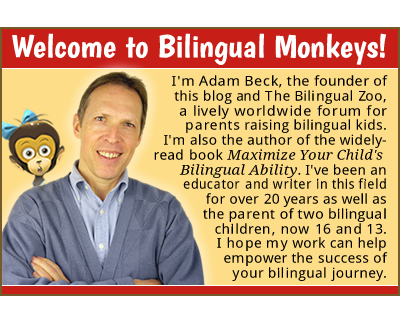 Subscribe to my list for Maximize Your Child’s Bilingual Ability. 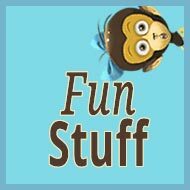 I must admit, I don’t really enjoy the technical side of maintaining my blog and forum. This is a side of my work that you don’t see, but it can be frustrating and costly. And before too long, because the pace of change on the web is making the framework for my blog obsolete, I’m afraid I’ll eventually have to rebuild the entire thing (with a lot of help). Just thinking about it makes my head hurt. In any event, I hope to keep both sites running well through 2015, while expanding my use of audio and video. A couple of months ago we met a woman from Spain who now lives in Hiroshima with her Japanese husband. We asked her to teach Spanish to Lulu and Roy so they now have lessons twice a month, along with daily homework I assign in a workbook. I don’t speak Spanish myself, so I’m hardly helpful, but I bought a book and I’m trying to learn alongside them. I need to make a better habit of studying every day, though, or I won’t make much progress this year. 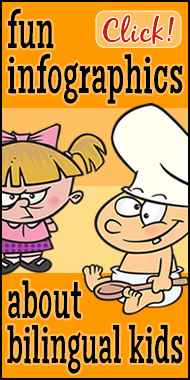 A couple of years ago I completed a novel—it’s a comic romp in the spirit of Roald Dahl. I had high hopes for it—it’s the book I wanted to write and I’m proud of it—but when some initial interest from agents didn’t pan out, I set it aside and began this blog. I’m still not sure if I should make another attempt to pursue a traditional publishing path for it, or just publish it on my own, but I’d like to resolve this in 2015. 1. 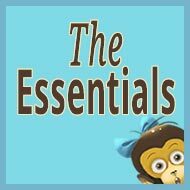 Read the articles at Bilingual Monkeys. 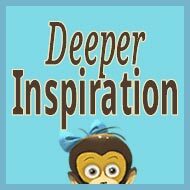 I began this blog in September 2012 and today marks the 223rd post, including several excellent guest posts. The site offers a wide range of information and advice on the subject of raising bilingual children, based on my own experience as a parent and as a teacher to hundreds more bilingual kids over a period of nearly 20 years. 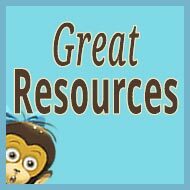 To find information on specific topics, make use of the resource pages (New Parents, The Essentials, etc.) and the search box, both found to the right. Also on the right is the monthly archive, a way to catch up with this blog chronologically. 2. 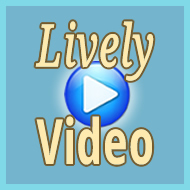 Subscribe to my free weekly newsletter. Click to subscribe to my free weekly newsletter. 3. Join me and other friendly “keepers” at The Bilingual Zoo. 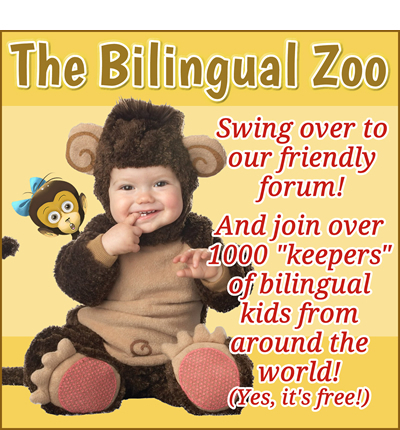 I opened The Bilingual Zoo just six months ago, in July 2014, and this forum has quickly become a warm, lively community for “keepers” of bilingual kids. As of this moment, there are 231 members, with locations and languages that span the world, and a total of 240 threads and 1,214 posts. The Bilingual Zoo is not only a source of useful information and advice from other parents and teachers, it also serves as a place of support and encouragement. Moreover, by making regular use of the site, we’re able to strengthen our personal efforts, becoming more conscious and proactive from day to day, the very qualities that produce greater success over time. Click to visit The Bilingual Zoo. Click to give to The Bilingual Zoo—and get those rewards. 4. Get personal coaching with me via Skype. This month I’m launching a new feature: personal coaching via Skype. If you’d like some direct support in maximizing your children’s bilingual development, I’d be happy to discuss your situation in detail and provide my best guidance and encouragement. And to mark the start of this personal coaching, I’m offering a much lower rate until February 14—but you needn’t use your coaching session right away. Take advantage of the lower rate now and your coaching session can take place anytime within one year from the date of purchase. It’s up to you when you’d like to speak with me! Click to find out more about personal coaching. 5. 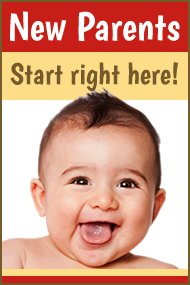 Get special “bilingual products” at Bilingual Style. Celebrate your family’s bilingual (trilingual/multilingual) identity, while promoting positive feelings toward bilingualism in your children. Support your success at raising bilingual children by keeping you conscious of your goal and proactive your day-to-day efforts. Click to browse my products at Bilingual Style. 6. Share your resolutions and I’ll follow up by email. If you share your own resolutions below, in a comment, I’ll follow up by emailing you in a few months to see how you’re doing. By stating your resolutions publicly like this, and then anticipating a personal message from me, I think you’ll strengthen your commitment and raise the odds of success. And this will only cost you the time it takes to write your comment. In exchange for my support, I only ask that you do your honest best to follow through on your resolutions. So I won’t respond to your comment here, but know that I’ll be cheering for you and I look forward to hearing some positive developments when I email you in the spring. How about you? 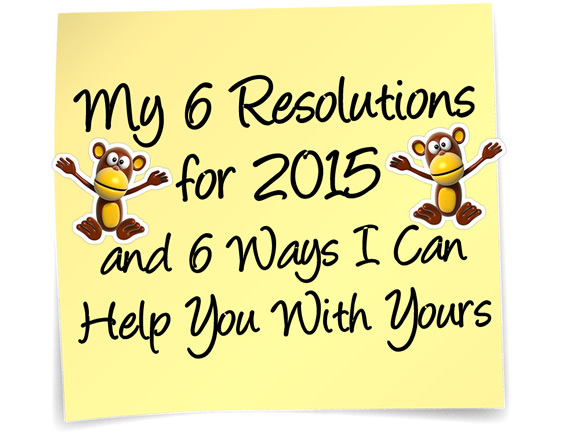 Tell me your resolutions for 2015 and I’ll follow up by personally emailing you in a few months! I’ve decided to give it a try. I want to start with two resolutions for each of my kids: Alex (3), Isabel (13). Our resolutions about their Spanish are not very ambitious, but very specific. Isabel and I will read a minimum of 4 novels this year (we’ve picked up which ones). On weekends she will also write a diary about our everyday life (150-200 words a week). 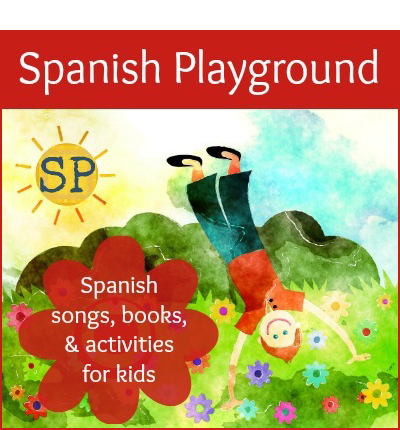 I organized a Spanish Playgroup for my younger in November. I want it to keep going and meet 3-5 times per month. We’ve started learning the letters recently. So I want him to know all the letters and read separated syllables by the end of the year. Finally, as I write a blog about their language development, I want to keep writing 3-4 post a month. That’s it. Thank you for this opportunity. Wish you success with your resolutions! I loved seeing how the past year’s resolutions turned out. While I felt I was failing most of the time, I did fulfill my resolutions. This year I’m going to build on that. 2. For the youngest I want to transition our reading routine to Russian. I tried all year to get a reading routine going but she wasn’t interested. Just the last few weeks I broke down and read to her in English and she loves her llama llama books. Those will be our gateway books and eventually I resolve to transition my reading to all Russian. 3. This year I make a goal for myself too. I plan on setting a good example of language learning and relearning Swedish and continuing to learn Spanish so I can keep up with the oldest. My resolution is to speak only English, instead of French with my husband, in preparation for our baby’s arrival in March. I want to use English to address both of them (like Adam does). I want an achievable goal so I plan to speak French to my son (2 years old) every day and to listen to French radio (at least some of the time) while we’re prepping or cleaning up after dinner. Also we joined the local Academie Francaise and want to make it to their children’s library twice a month. We’re expecting our first child in April, so my resolutions will be quite simple. I will do my best to only speak our minority language (Finnish) to our child, and hopefully my parents will do the same. I will also try to improve my own language skills by movies, books, music and Facebook groups. 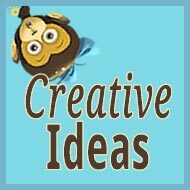 Previous post: Big Breakthrough with My Bilingual Daughter?